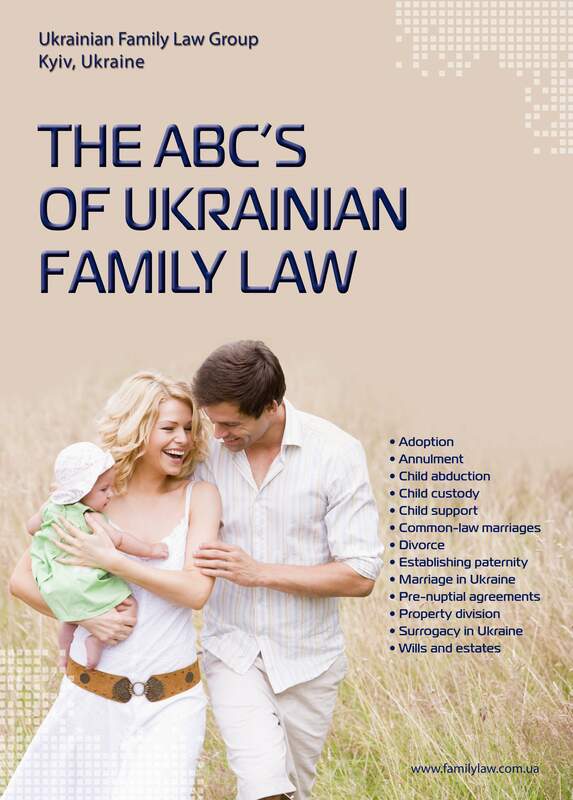 The main law of Ukraine which settles the property rights and duties of spouses is the Family Code of Ukraine, effective as of 1 January, 2004.
part of the property purchased by spouses with their joint money and also with personal money of one of spouses in proportion to the amount of spent personal money. Under Ukrainian law, property acquired by spouses during their marriage is an object of joint ownership, irrespective of personal income and occupation of spouses during their marriage (studies, housekeeping, taking care of children, illness, etc. Even property for professional occupation (musical instruments, planning, medical equipment etc. ), purchased during marriage for one of the spouses is considered to be joint property. If personal property of one spouse was significantly incresed in value as a result of joint work, finance or due to another spouse during their marriage, this property can be adjudged in court to be an object of joint ownership. Spouses have equal rights to possess, use and dispose of (alienate) property owned by his or her family if there is no separate agreement between them to the contrary. The law gives a husband and a wife a right to conclude all types of contracts between them, which are otherwise not prohibited by law concerning his/her personal property and their joint property. Spouses may dispose of joint property only by mutual consent. In other words, one of spouses has the right to conclude a contract only with a prior written consent of the other spouse. If a contract is concluded without agreement of the other spouse, it can be deemed invalid by court. Any contract that requires a state notary certification, or a contract concerning valuable property, can be concluded by one spouse only if the other spouse gives his/her agreement in written form. This agreement must be certified by the notary. Importantly, a contract concluded by one spouse in the interests of family creates legal obligations for the other spouse. Spouses have the right to come to an agreement about use of joint property. A husband/a wife has the right to conclude a contract of sale and purchase, exchange, gift, pledge only after his/her part of joint property has been determined and apportioned or after the order of use of this property has been determined. A wife/husband can execute his/her will to include her/his part of joint property before it has been determined and apportioned. Divorce does not cancel the right for joint ownership of property purchased during marriage. After divorce, the disposal of joint property is executed by joint owners exclusively by mutual agreement in accordance with the Civil Code of Ukraine. 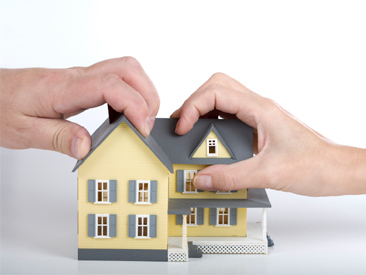 Spouses have the right to divide their joint property anytime irrespective of their divorce. They can divide their property by mutual agreement. An agreement of division of a house, of a flat, of other immovable property or agreement on apportionment of a part of immovable property from the whole property must be certified by a notary. Certain circumstances may also dictate whether the property that was acquired during the marriage belongs to just one of the parties. For instance, the courts may find that property acquired by one spouse during a period of separation, or during the marriage termination process, would thus become personal property of that spouse. Furthermore, if the funds for which the property was acquired, beyond their joint resources, include money belonging individually to one spouse, then his/her share of this property shall be proportional to his/her respective contribution. if one party spent earnings in a way that was incompatible with the family interests. Of course, the courts can always increase the wife's share of property distribution for a number of reasons, including if she will be living with the children, if she has an adult son/daughter who is unable to work, if the amount of family maintenance seems insufficient to ensure their physical/spiritual development and necessary medical treatment, if any. In conclusion, there are two ways of regulation of property rights and duties of spouses in Ukraine -by application of family law and by marriage contract. The family law of Ukraine as written above settles all issues related to the joint ownership of family property as follows: in case of divorce, each of spouses has the right to get a half of all jointly owned property. If a couple who wishes to get married, or people already married, want to regulate their property relations otherwise, they should conclude a pre-nupital agreement or a marriage contract, which will delineate all property issues per their wishes.